Extending the life of an ultrasound probe (standard, 3D or TEE), even by just one year, can generate substantial savings for any size facility. TEE probes have the potential to fail within the first year of use due to repeated exposure to caustic chemicals, harsh environments and compromised handling. With a potential replacement cost of $22,000 versus a typical repair cost of $5,000, or a preventative service cost of around $1,000, the savings of $17,000-$21,000 are huge. If you have 10 TEE probes, just imagine what you can do with the potential savings. 1. Benchmarking: Providers should invest in researching and testing functions, components and outputs of new probes to fully characterize each model. Innovatus Imaging calls this Gold Standard Testing. Findings are used to identify the best processes for returning a probe back to the performance level it was originally intended to achieve, and ensure the device is safe and effective. There is a huge difference between getting a probe working again and getting it back to OEM form, fit and function. 2. Chemical Testing and Biocompatibility: OEMs spend considerable time and money ensuring their materials can withstand exposure to harsh chemicals and environments with no deterioration, irritation negative effects to the patient. You should expect the same from materials and chemicals used during a repair. Ask repair providers how they assess chemical compatibility on the materials used in their repairs and if they are ISO-10993 compliant. 3. Replacement Parts: When harvested versus new or specialty-built parts are used in a repair, you may end up with a short-term fix versus a long-term solution. Many harvested parts, such as cables, have been repaired multiple times making them unstable. It’s important to ask providers where and how replacement parts are sourced and if they have procedures in-place to qualify them. 4. Holistic Testing: As tempting as it is to go with the “quick-fix” promise, you are likely trading a small amount of time for a bigger headache down the road, as shortcuts may be only addressing the failure at hand. This approach can often lead to latent, secondary failures as parts not inspected during the initial repair may fail. Holistic testing helps ensure a lower cost of ownership over the probe’s lifetime. 5. Manufacturing: Providers which are also device manufacturers have a strong foundation of research, technological innovations and proprietary processes which are often applied to repairs. Applying a manufacturing mindset and process rigor to repairs often increases a probe’s sustainability and lifetime. 6. 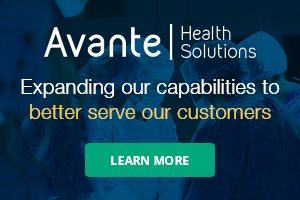 Experience Applied: Experience matters when it comes to repairing something as critical as diagnostic imaging devices. Ask providers about their length of time in the industry and quantity of repairs performed. Both matter. 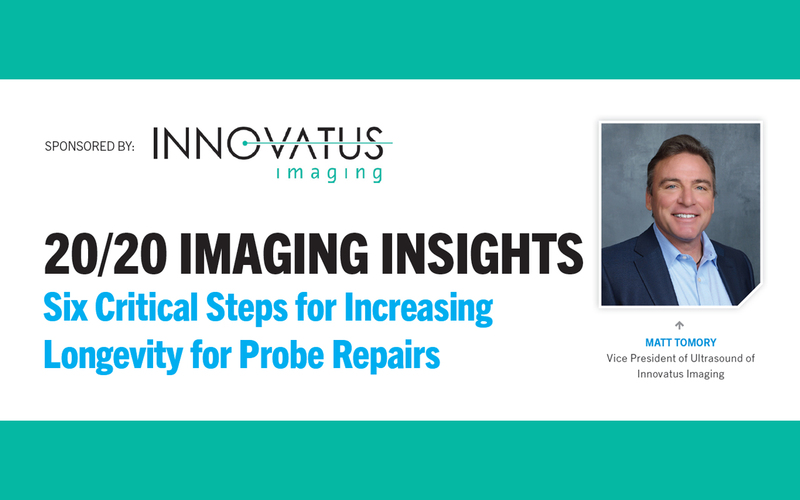 For example, the teams at Innovatus Imaging are applying learnings from 40 years of experience and 150,000 plus repairs to help predict failures, determine material durability and define best-in-class probe repair processes. Ultimately, providers should demonstrate a dedication to quality by having ISO 13485:2016 certifications, which are specific to medical devices. Asking providers about these six steps will help you get more out of your repairs and all your ultrasound probe investments. Matt Tomory is vice president of ultrasound for Innovatus Imaging’s Ultrasound Center of Excellence. In this role, he has helped imaging facilities lower operational costs by extending the lifetime of all types of probes. He may be reached at matt.tomory@innovatusimaging.com.